This is a difficult letter to write since I have done something very foolish. Please do not think from my actions that I in any way disavowed your upbringing or teachings. I was merely not in a frame of mind at the time to consider my words. First, it saddens me to inform you that the driver and footman you hired to accompany me and my maid on the journey to visit Sybil was killed in a carriage crash. The carriage was also destroyed in the accident. Alice and I are unhurt, however. We met two lovely gentlemen on the road, professors at the University of Scotland, who assisted us to reach the nearest inn. 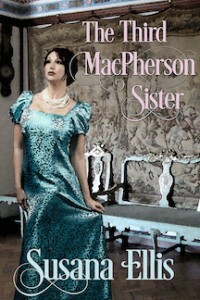 Mother, you will never guess, but one of the professors is cousin to Lady Margaret’s husband, Laird Duncan McKinnon! I was quite relieved to discover that since Professor McKinnon offered—well actually I asked—his company for the remainder of the journey to Sybil’s home. Mother – I am married. Under early modern Scots law, there were three forms of “irregular marriage” which can be summarized as the agreement of the couple to be married and some form of witnessing or evidence of such. An irregular marriage could result from mutual agreement, by a public promise followed by consummation, or by cohabitation and repute. All but the last of these were abolished by the Marriage (Scotland) Act 1939, from 1 January 1940. Prior to this act, any citizen was able to witness a public promise… A marriage by “cohabitation with repute” as it was known in Scots Law could still be formed; popularly described as “by habit and repute”, with repute being the crucial element to be proved. In 2006, Scotland was the last European jurisdiction to abolish this old style common-law marriage or “marriage by cohabitation with repute”, by the passing of the Family Law (Scotland) Act 2006. https://en.wikipedia.org/wiki/Marriage_in_Scotland. If you lived in the Regency period, what would you hate the most? What would you like the most? One commenter will win a $5 Amazon gift card, along with an ebook copy of the USA Today best-selling book The Elusive Wife. That book is the first in the Marriage Mart Mayhem series. If the winner has already read it, they can select any other book in the series. On the way to visit her twin sister in the Highlands, Lady Sarah Lacey makes a huge mistake which has the ability to change her life’s plans… Now what does she do? 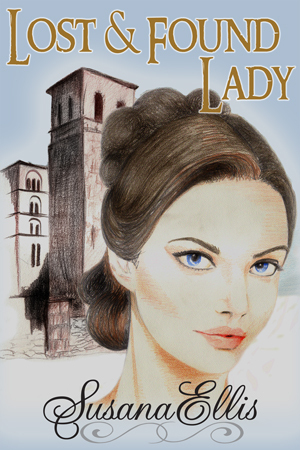 Lady Sarah Lacey is on her way to the Highlands to visit her twin sister, Lady Sybil MacBride, when she meets with an accident. Stranded on the road, she encounters Professor Braeden McKinnon, traveling to his home near Sarah’s destination. She cajoles him into escorting her and her maid. Professor McKinnon had to shut his mouth, which hung open. 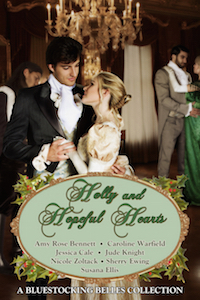 He stomped over and, grasping her waist, flung her onto the horse’s back. She immediately began to slide to the other side, the weight of the wet clothes pulling her over. He reached out and grabbed her, tugging her the other way. Her arms flailing, she slid toward him and fell off, landing on him, sending both of them into the mud. 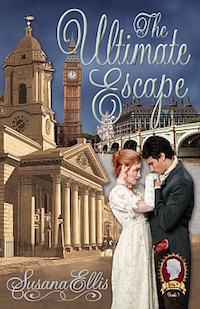 USA Today best selling author of The Elusive Wife, Callie Hutton writes both Western Historical and Regency romance, with “historic elements and sensory details” (The Romance Reviews). Callie lives in Oklahoma with several rescue dogs, her daughter, son, daughter-in-law, twin grandbabies (thankfully all not in the same house), and her top cheerleader husband of thirty-nine years. Callie loves to hear from readers, and would welcome you as a friend on Facebook. You can contact her through her website: www.calliehutton.com. If you would like to keep informed on sales, contests and new releases, sign up for her newsletter. Callie: When I was a child I used to make up stories in my head that would entertain me when I was falling to sleep at night, or on long boring road trips. This continued on until adulthood, when I decided writing them down would be a good idea. I wrote many short stories for magazines and newspapers and then finally decided to write a book in 2010. Callie: Almost always the plot. But if I’m writing a series, then the character will come first. But sometimes the character, as he or she appeared in another book, gives me the idea for his or her story. Callie: I started off a panster, but after about five books I started plotting and now I find I do it all the time. I do extensive research, do character sketches, plot out the story, put all that information into a binder, and then outline it all, chapter by chapter, onto a white board. Callie: Lady Sarah Lacey has a secret reason why she doesn’t want a husband. At least not at this time in her life. Callie: Right now I am working on The Highlander’s Distraction. This is the final story in the Marriage Mart Mayhem series, staring the youngest sister, Mary. She’s visiting sister Sarah when she gets herself into trouble. Callie: Linda Lael Miller, Eloisa James, Julia Quinn, Lorraine Heath just to name a few. Susana: Is there a writer you idolize? If so, why? Callie: Probably Sandra Brown. She started off writing category romance and managed to segue into a top selling romantic suspense author. I would love to follow her career path. 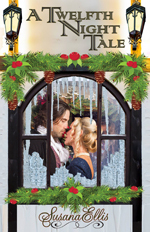 As they take to the road together, Braeden finds the fiery Lady Sarah a handful of trouble. But nothing prepares him for the words she utters in front of witnesses that binds them together in matrimony. Waiting for word that he has been selected to work on an archeological dig in Rome, he had no intention of taking a wife for a long time. Now that she has accidentally married them, however, perhaps it would not be such a bad thing, after all. 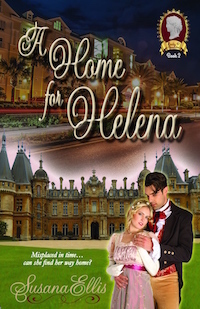 USA Today best selling author of The Elusive Wife, Callie Hutton writes both Western Historical and Regency romance, with “historic elements and sensory details” (The Romance Reviews). She also pens an occasional contemporary or two. Callie lives in Oklahoma with several rescue dogs, two adult children, and daughter-in-law (thankfully all not in the same house), and her top cheerleader husband of thirty-eight years. She also welcomed twin grandsons to her ever expanding family in August of 2015.